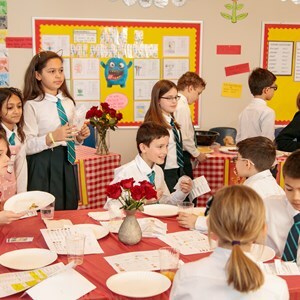 Our Beyond the Classroom blog this week celebrates Bowen M., Abhi M. and Vikram K.! 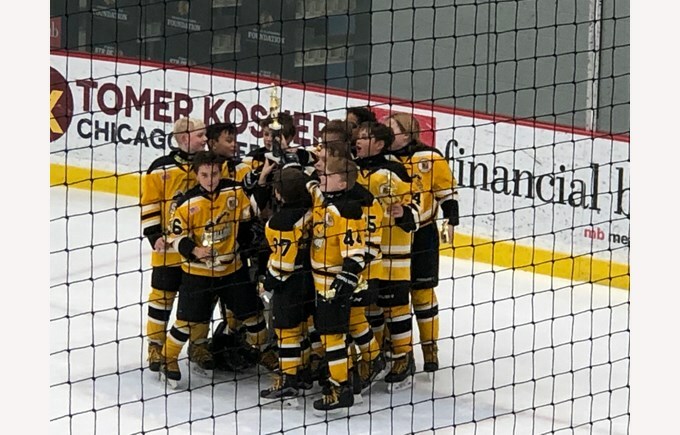 Bowen's hockey team: 1st place champs! Vikram with his medal after the race! 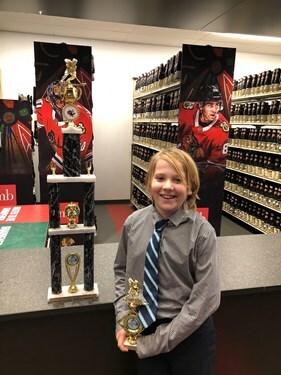 Congrats to Bowen M. in Year 5 who came in 1st place in the Chicago Gobbler Tournament Squirt Division! What an increidble athletic acheivement! 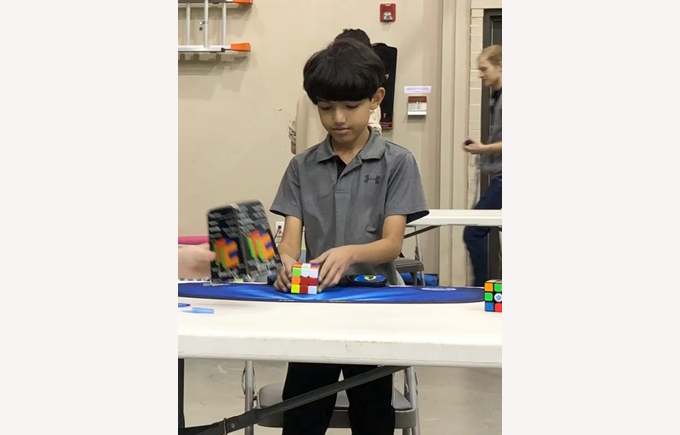 Abhi M. in Year 4 took his passion of solving Rubik's cubes to the next level. 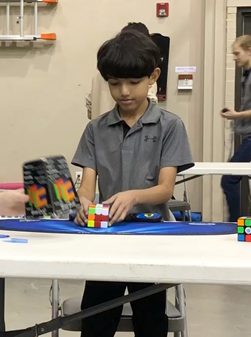 He competed in the WCA (World Cube Association) tournament in Indianapolis. 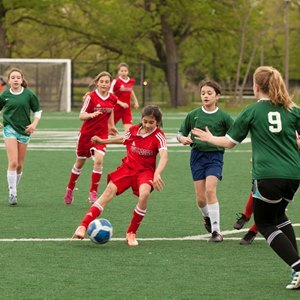 In this competition, there are no groups or levels and everyone competes in the same group. He competed with about 100 participants from 5 different countries. This was a great experience for Abhi and he came back even more motivated to improve his times. He also got a chance to share and network with other fellow cubers, including former world champion! Abhi even got an opportunity to be the judge for few rounds too. 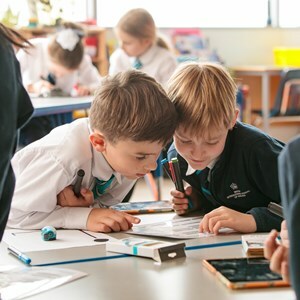 We can't wait to hear more about Abhi's Rukik's cube success in the future! 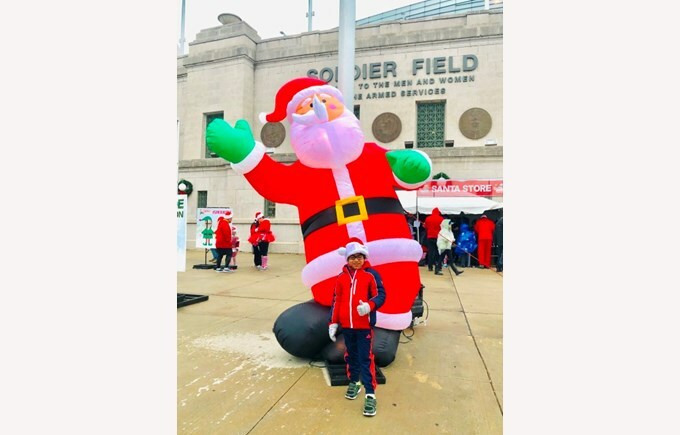 Vikram K. in Year 2 participated in a one mile Santa Hustle Race called the Rudolph Run on Saturday, Dec 1 at Soldier Field. 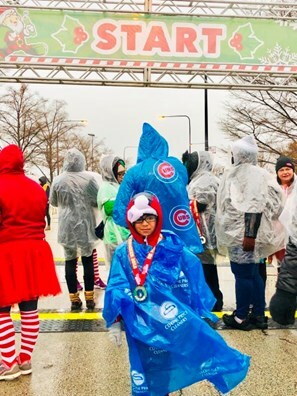 It was a cold, rainy day, but Vikram showed determination and persistence by completing the race despite the weather. 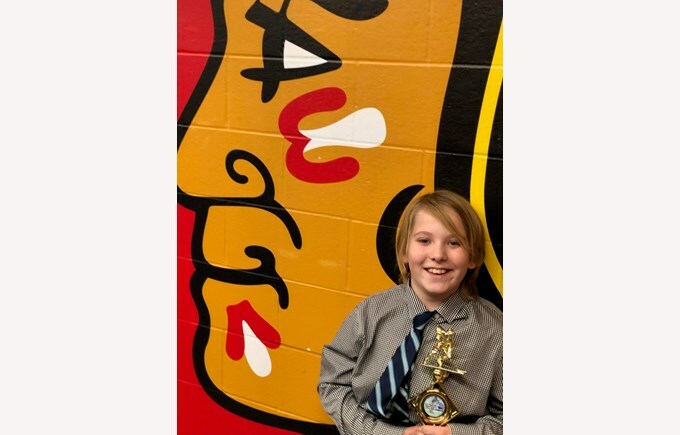 He was resilient and did not give up . 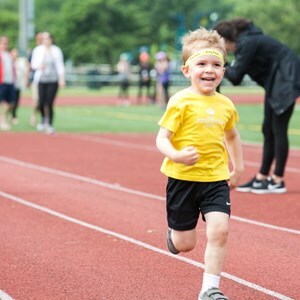 It was quite a feat for children to run and complete the race and some of the children did not finish. 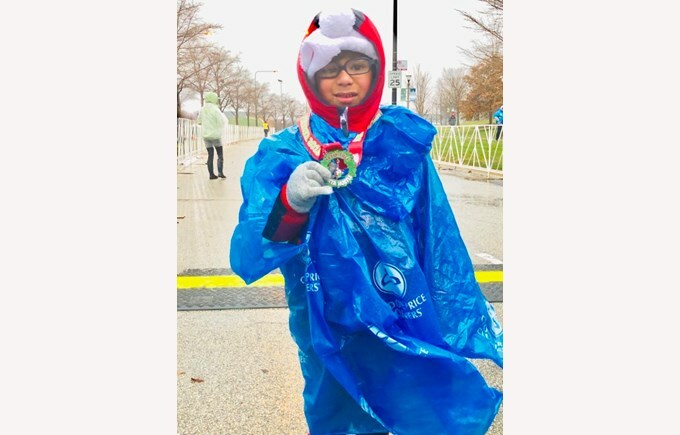 Vikram was given a medal for his unwavering commitment to the spirit of race and his determination to complete the race. Great job and wonderful resilience Vikram!